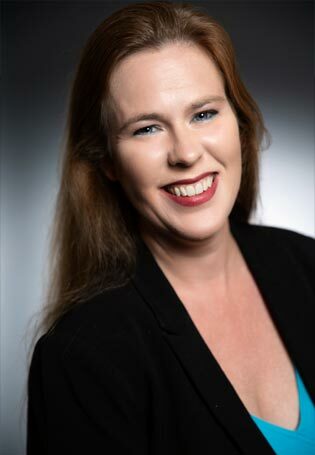 Family Law Attorney, Mary Zogg proudly serves the Collaborative Separaration, Collaborative Divorce, and Family Law legal needs of those in Orlando, Central Florida, and Fort Lauderdale. Call 321.209.1878 to schedule an confidential legal consultation regarding your Collaborative Separaration, Collaborative Divorce, and Family Law matters. If you and your spouse are looking for a way to separate/end your marriage in a way that meets both of your needs then collaborative law may be your best option. Collaborative law is a legal process in which separating/divorcing couples work with lawyers and other family professionals without the fear of litigation or a lawsuit. This is a voluntary process that many families with children choose because it can be the least “messy” way to dissolve a marriage and is meant to meet the best and specific needs for both parties and their children. The collaborative law process begins after the couple has signed a contract called the participation agreement. This agreement binds each spouse to the process and prohibits their individual lawyer from representing either spouse in any future family-related litigation. In conjunction with this, each party is allowed to have their own lawyer accompany them to each meeting. Meetings are run by mental health practitioners in order to keep everything fair and balanced. A CPA (certified public accountant) or CFP (certified financial planner) would also be present to handle monetary matters. The collaborative process can be used to facilitate a broad range of separation issues such as disputes over child custody or pre and post-nuptial contracts (if those were not drawn up mutually before the marriage). Collaborative law is completely confidential and ideal for couples wanting to keep their affairs private and almost completely out of the courtroom. Throughout the collaborative law process, nothing may be divulged without the consent of both parties. This is similar to mediation except that, in mediation, the agreement will be filed with the court and made part of the public record. Additionally, in mediation, both parties are required to file a Financial Affidavit, which discloses all of their income and expenses, assets and liabilities. In collaborative law, these documents are typically not filed. The final petition merely references that a full settlement was reached through the collaborative process and a final judgment is entered. This process is the most confidential avenue and helps couples avoid disclosing their private affairs in court. Another reason to consider collaborative law is that it is cost effective for all involved parties. The necessary tasks in the collaborative model are assigned to specialized professionals and you will not be stuck paying multiple people for performing the same task. Some couples choose collaborative law simply for the sake of saving their wallets. Call Orlando Collaborative Law Lawyer, Mary Zogg at 321.209.1878 to discuss your Collaborative Separaration, Collaborative Divorce, and Family Law needs and goals. Mary Zogg has extensive experience in assisting Orlando, Winter Park, Maitland, Longwood, Central Florida and Fort Lauderdale residents who require professional Collaborative Separaration, Collaborative Divorce, and Family Law Attorney legal services. Attorney, Mary Zogg serves the Collaborative Separaration, Collaborative Divorce, Divorce and Family Law needs of those in Central Florida including Orange County Florida, including: Orlando, Maitland, Apopka, Winter Park, Alafaya, Bay Lake, Belle Isle, Bithlo, Christmas, Doctor Phillips, Eatonville, Edgewood, Fairway Shores, Goldenrod, Gotha, Hunter's Creek, Lake Buena Vista, Lockhart, Meadow Woods, Oakland, Ocoee, Orlovista, Pine Castle, Pine Hills, Southchase, South Apopka, Taft, Tangerine, Union Park, Wedgefield, Williamsburg, Windermere, Winter Garden, Zellwood, Osceola County Florida, including: Kissimmee, St. Cloud, Campbell, Celebration, Champions Gate, Deer Park, Four Corners, Harmony, Intercession City, Kenansville, Narc oossee, Poinciana, Reunion, Yeehaw Junction.